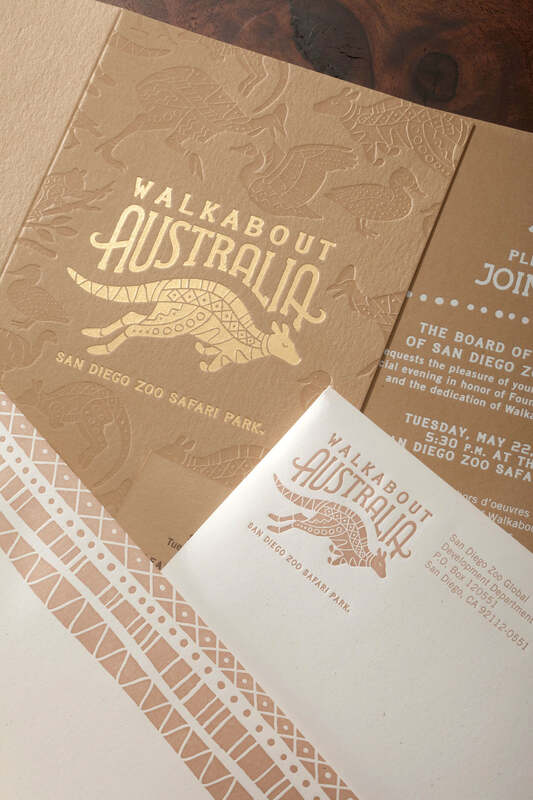 San Diego Zoo Safari Park is opening a new exhibit and send these special invitations to the supporters and donors who made it possible. 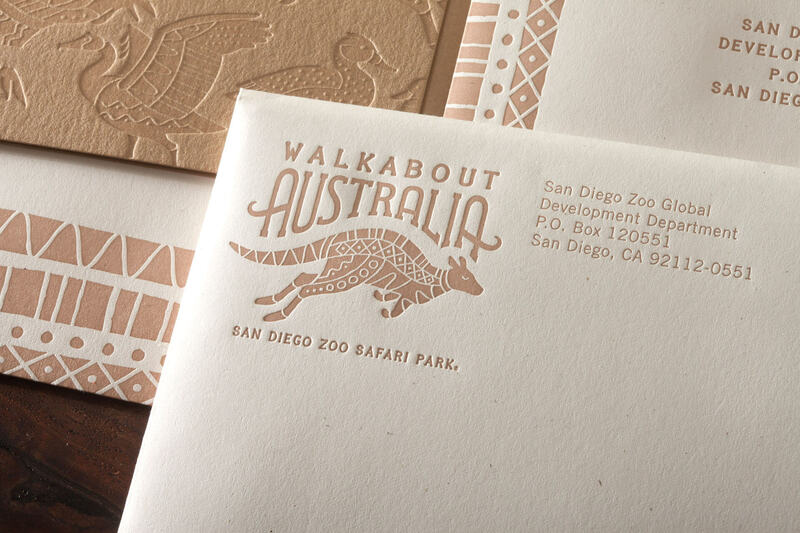 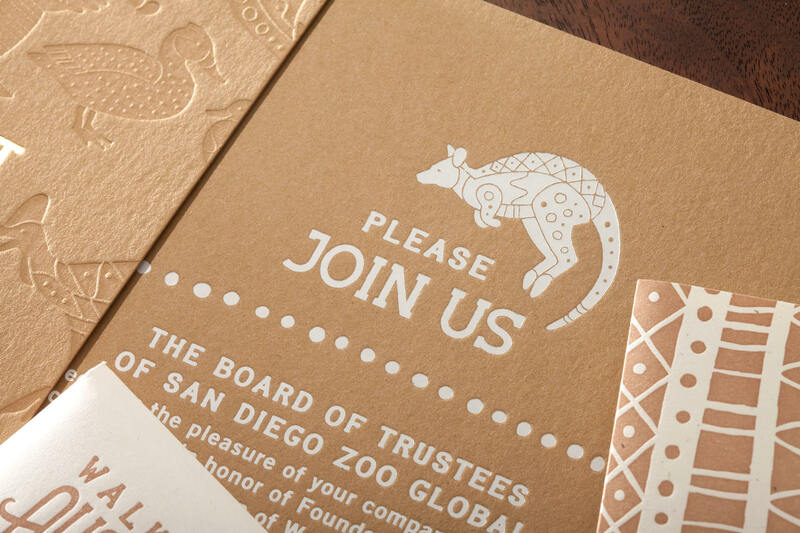 This suite features an A9 folded invitation, A6 RSVP card with letterpress custom envelope for each. 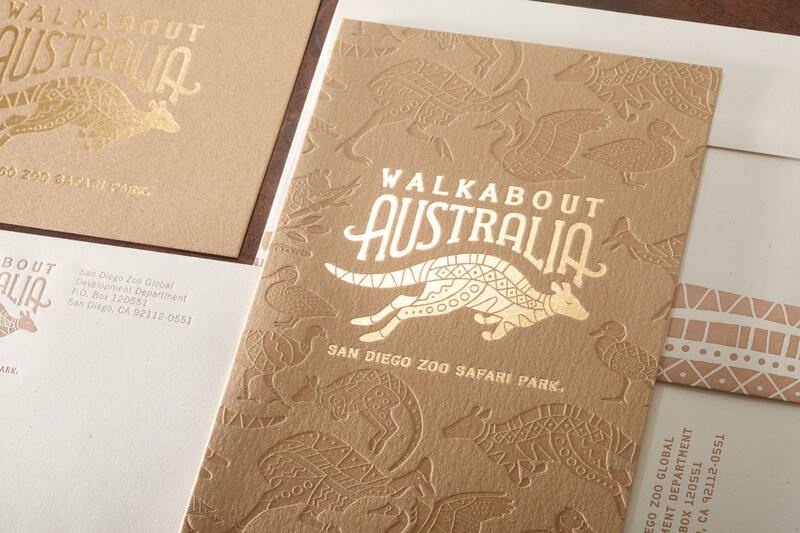 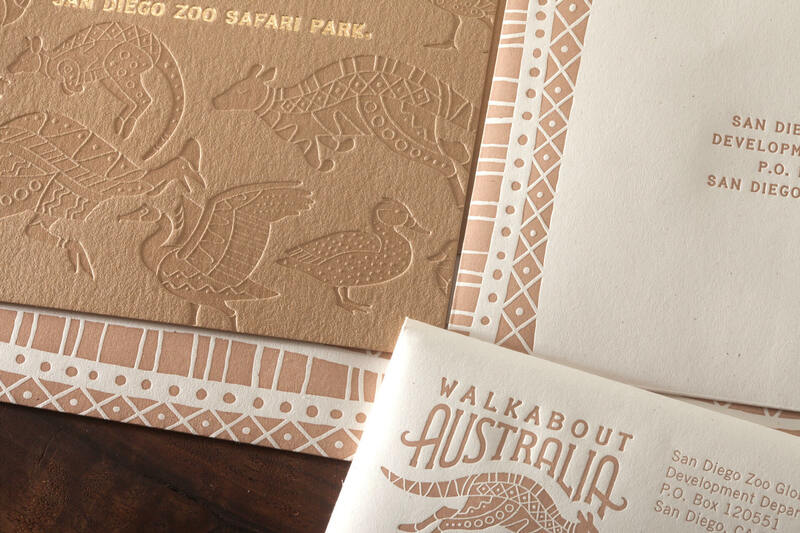 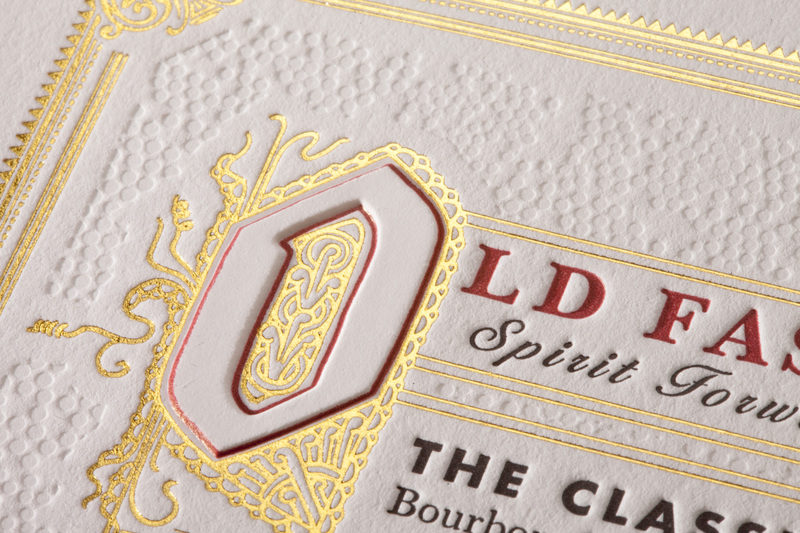 We made an extremely tactile print with hard impression letterpress and foil stamping on a wild textured thick paper stock.